Emotions can run high at major sporting events and with the final group games of the 2014 FIBA Basketball World Cup winding down, some players are facing up to the fact that their World Cup dream is over, or not running a smoothly as they think it is. This can be hard to take and while it is often no one’s fault, in sport there has to be winners and losers, it can feel as though you need someone to blame to take the edge off of the situation. This perhaps explains the ranting of Goran Dragic, a player for the Phoenix Suns, who has claimed that there was a fix in the Group match between Angola and Australia. The situation was that Australia had already qualified and were actually facing the prospect of improving their qualification prospects in the knockout stages. If Australia lost the match, they would be able to avoid the United States in the quarter final stages, so this was the incentive for the Australian team to take things easy, even though they had actually earned the right to take things easier by actually qualifying from the group before the final game. However, Dragic decided that this was the real reason that Angola managed to seal a 91-83 win over Australia, a result that doesn’t actually impact on Slovenia’s qualification at all, but may provide the team with a knockout route that isn’t too their liking. You could maybe imagine a player getting so worked up about this sort of situation if it meant that they were knocked out because of it, but this isn’t the case here. This is something that has occurred in the FIFA World Cup, many years ago, and steps were taken to ensure that this sort of situation couldn’t arise. 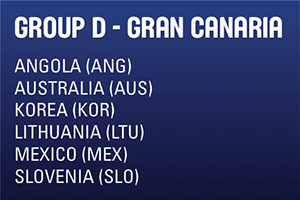 This is why on the final match day of the group stages, all of the games in one group will kick off at the same time. This may be slightly annoying for TV viewers that want to see every game of the tournament but when it comes to ensuring an element of fair play, there is a lot to be said for having games start at the same time. There is also a lot more excitement when this situation unfolds. If your team is reliant on the score of another game, you have fans who will watch the game but have one eye on their phone or an ear on the radio to hear updates. This can really impact on the atmosphere and sometimes stadiums and arenas can come to life with roars and cheers, even though there is nothing of interest happening at the game people are supposed to be watching. This is because something has happened in the other game which will have an impact on the overall result, which means that there is a strong level of drama and excitement. Of course, in the FIBA World Cup, with all of the group games taking place in the same stadium, it is impossible for different games to be played at the same time. Unless this issue is resolved, there is not going to be a resolution for the problem that Goran Dragic highlighted. Then again, maybe Goran had placed a few bets on the basketball results, with this one costing him an accumulator jackpot! If that is the case, our sympathies are with him because there is nothing more infuriating than a sure thing blowing it when you are about to cash out on a big amount of cash! Either way, it was a massive comment for the player to make, and this may not be the last that Goran Dragic has heard about this.